Last Thursday, Emily and I met up with Clare and her daughter Scarlet. 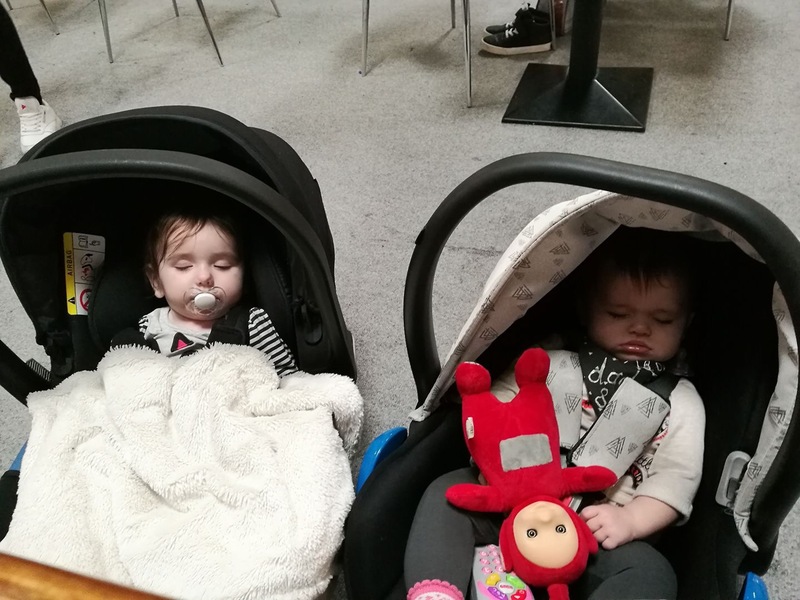 Being half term the opportunities to do anything with our girls in the rain was limited and we bravely thought taking our little ones to the Bumble Bees soft play area would mean that parents would avoid it because it was half term. But we were wrong. Whilst Emily and Scarlet slept soundly in their car seats, we walked into carnage. Screaming children of all ages running around the carpeted arena, shouting mayhem, high on sugar, giggles and the latest pop music. Staff hurried around making coffee, taking food orders and trying to keep big smiles on there faces as the room appeared to get louder and louder. We, thankfully only stayed for a cuppa and a cookie, before getting up and leaving. Right on cue Emily woke up continually shaking her head and Scarlet started crying, it really was too much and a nightmare. We’ll definitely not be hurrying back in a half term unless for a party, force or vodka. Next Post TV in 2017 has been great… so far.